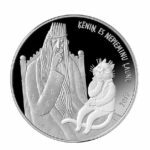 Numismag interviewed Erja TIELINEN, a finnish engraver and artist that worked on several projects for Mint of Finland. NUMISMAG: Erja, we thank you for the time you allowed to NUMISMAG for this interview. May you present youself a little bit? 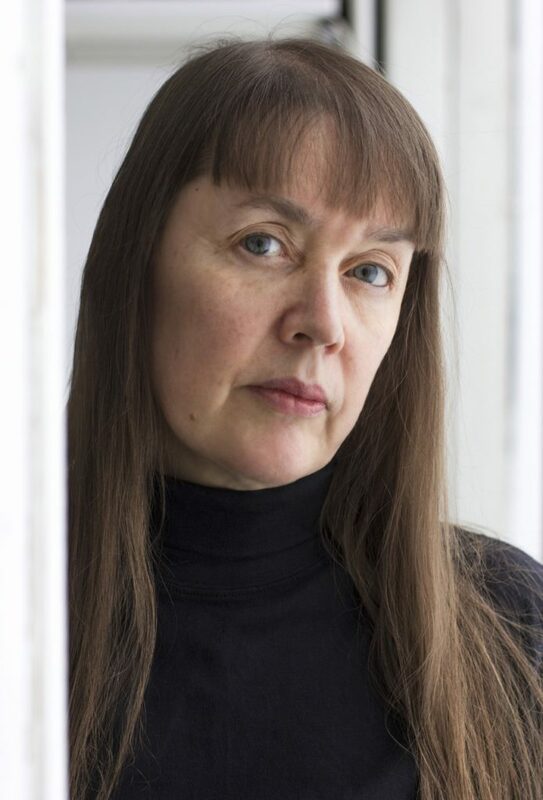 ERJA TIELINEN: I was born in Västerås, Sweden in 1956 when my parents had moved there for work. We moved back to Finland in 1964 when I was eight years old, and I continued in a Swedish speaking school in Helsinki. After graduation I studied art history at Helsinki University for around one year and at the same time I took courses in sculpture, painting and printmaking at University of Industrial Arts Helsinki. I found making art more interesting than theoretical studies. After meeting my husband-to-be in 1976, who is a professional painter, I applied to the sculpture department of Academy of Fine Arts in Helsinki. I graduated in 1981 and our first child was born in the same year. Later on our family grew by three more and our youngest son was born in 1994. 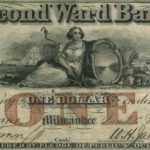 NUMISMAG: What kind of event or person did push you in direction of an artistic career? 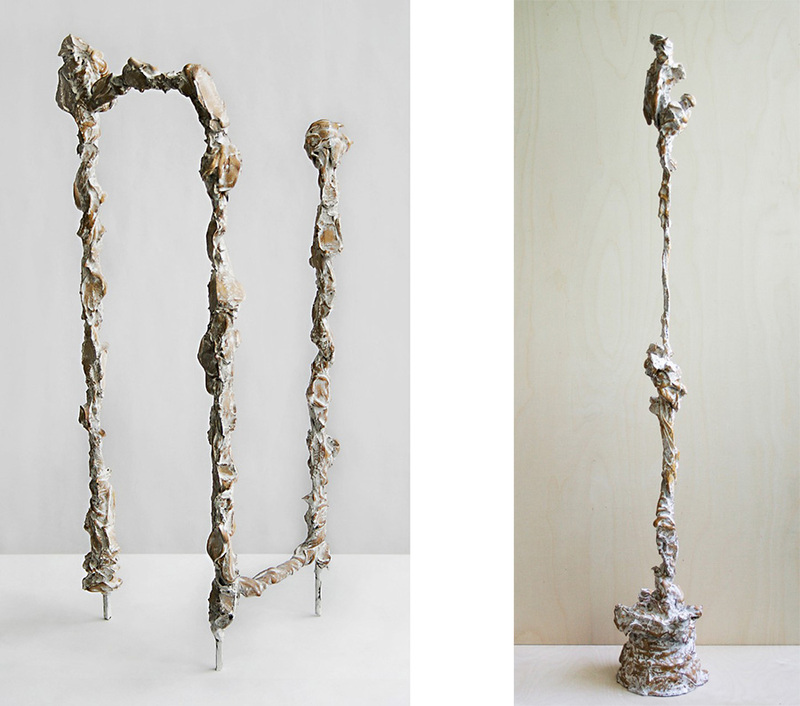 ERJA TIELINEN: I remember from my childhood my aunt’s concrete sculptures in my grandmother’s garden and her portrait sculptures and modern paintings at our home. Growing up in this kind of environment of course directed my interest towards visual art. The final push in making art myself came from my husband. I had tried painting, but it didn’t feel like my thing. 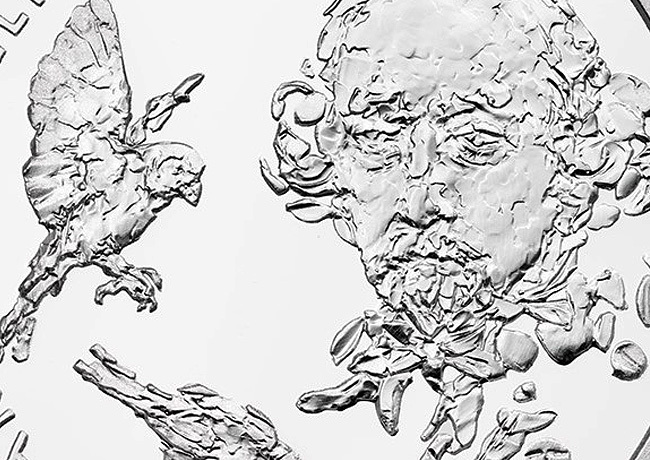 Modeling in clay was much more natural and interesting, as well as making spatial compositions. NUMISMAG: What is (are) your main inspiration source(s)? 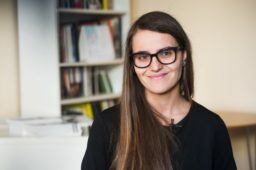 ERJA TIELINEN: I love everyday life and therefore many of my non-commissioned works are connected with my own environment. In a family with two artist and four children you see so many facades of life that you don’t really need to look for a subject. Regarding competitions and commissioned works, I find the challenge of a given subject interesting as such and I seek for visual solutions. 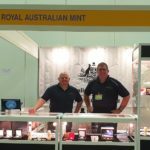 NUMISMAG: How did you become more specifically coin designer for Mint of Finland? ERJA TIELINEN: My teachers at Academy of Fine Arts were the well-known sculptors Harry Kivijärvi and Heikki Häiväoja. Häiväoja is known for his circulation coin designs and he has also designed the first Finnish commemorative coins. During my studies there was an assignment when we had to create a design for a medal, and this gave me the necessary technical skills. After my graduation I participated in an open medal design competition for Helsinki University Central Hospital as well as a commemorative coin competition for the Ice Hockey World Championship 1982 in the same year. For my own surprise I was asked to realize both. 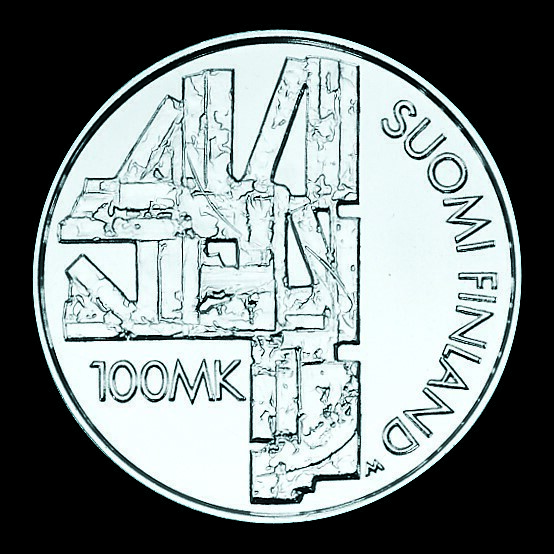 NUMISMAG: What are the different projects of coins or medals you designed for the mints (mostly Finland and Sweden mints), until today? 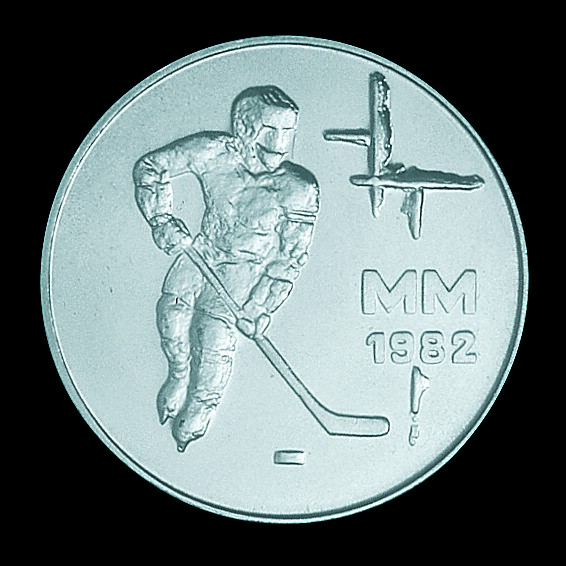 ERJA TIELINEN: The first commemorative coin I designed was for the Ice Hockey World Championship 1982. 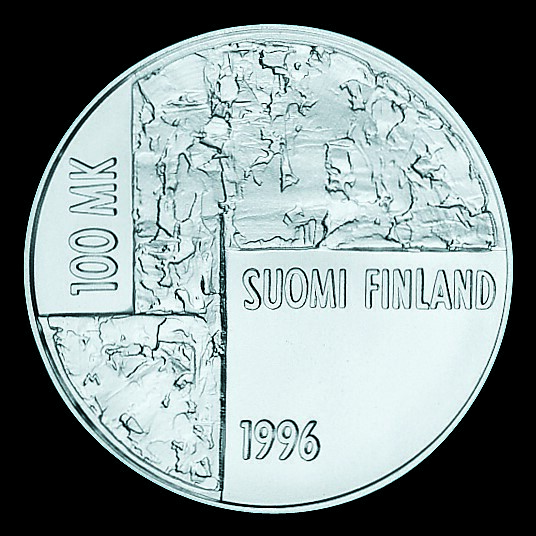 It was also the first Finnish commemorative coin which had a polished bottom surface. 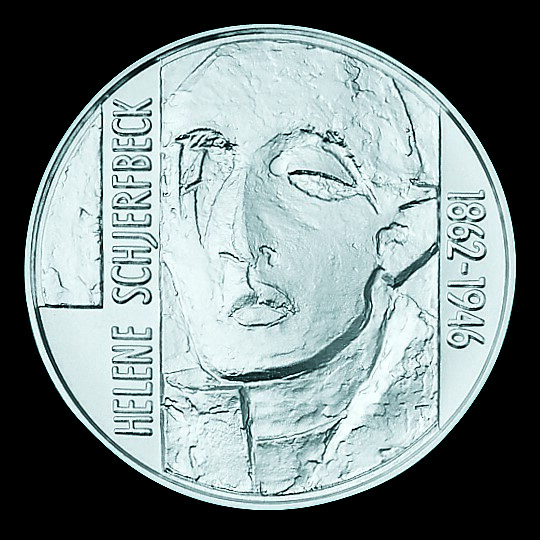 A decade later, in January 1996 the Collector Coin Committee commissioned me to create a commemorative coin in honor of Helene Schjerfbeck and visual art. The working schedule was very tight and when the work was finally successfully done I was extremely relieved. 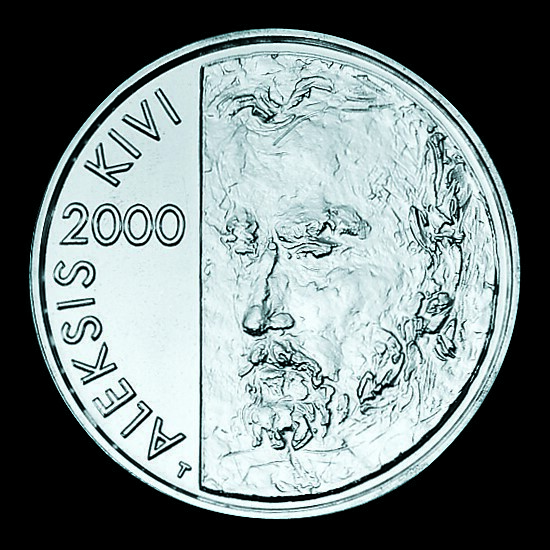 Aleksis Kivi and Finnish literature commemorative coin was designed in 2000 through an invited competition. 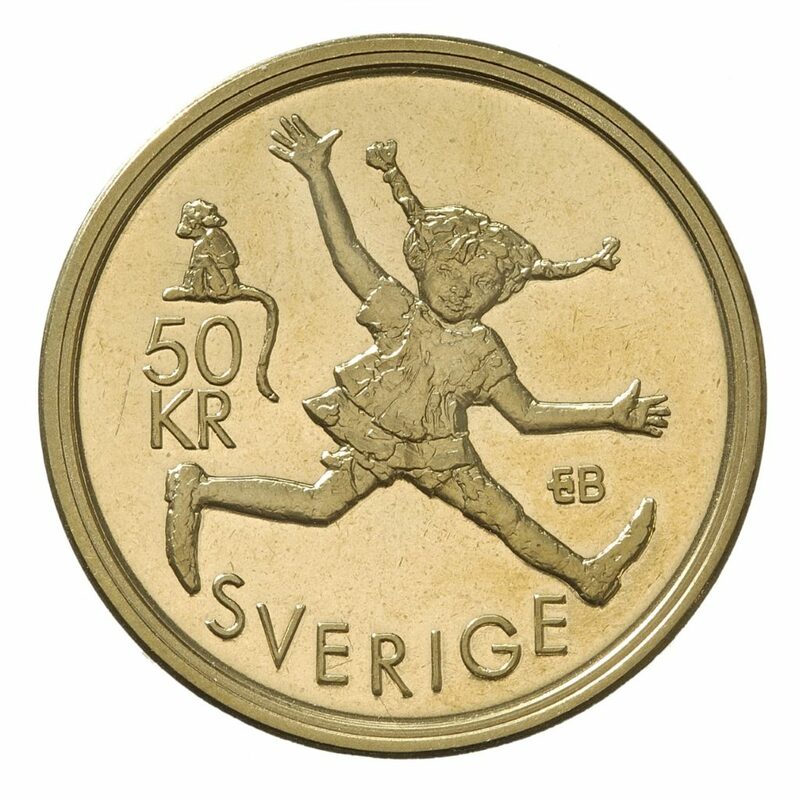 In 2002 I was commissioned to design a commemorative coin for Swedish author Astrid Lindgren who had just passed away earlier that year. 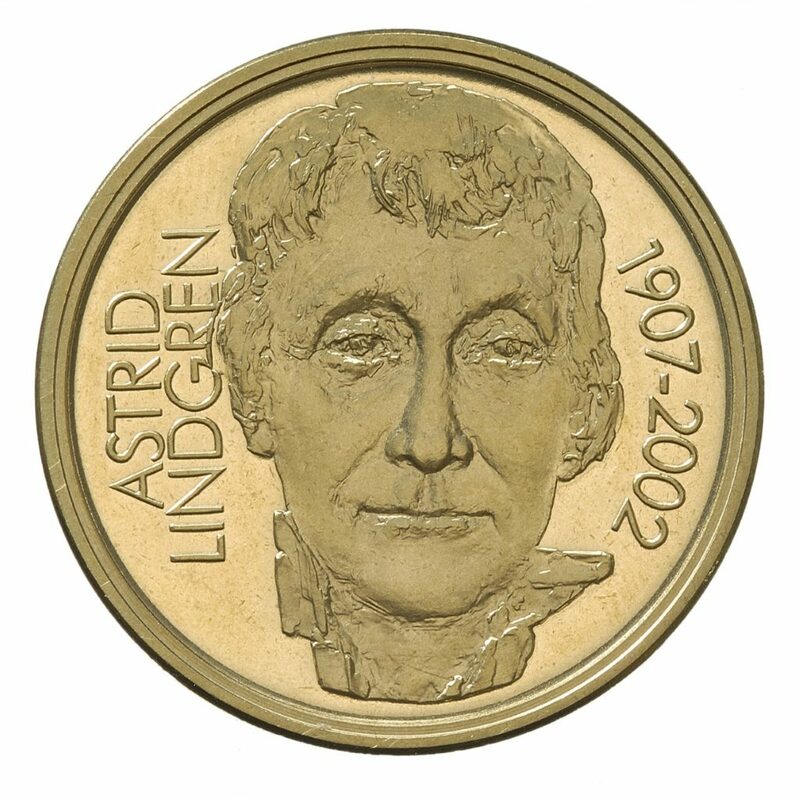 The coin was minted by AB Myntverket and commissioned by Sveriges Riksbank. Mint of Finland created a serie of silver medals with Moomin characters in 2004. I modeled the characters based on Tove Jansson’s Moomin comics. 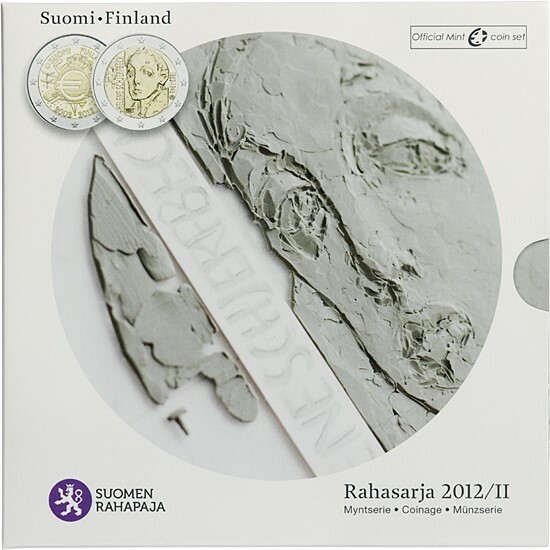 In the same year I designed a medal with the portrait of President Tarja Halonen. In 2007 my bronze casted free medal “Colours of Life” won the competition of annual medal for The Guild of Medallic Art in Finland. Next year the same medal was awarded in the 5th International Biennial of Contemporary Medals in Seixal, Portugal. 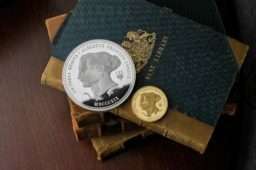 The first Finnish euro commemorative coin dedicated for a single person was released in 2012 and it was again for the honor of Helene Schjerfbeck. My latest coin design is the Zacharias Topelius 200 Years commemorative coin released in January 2018. 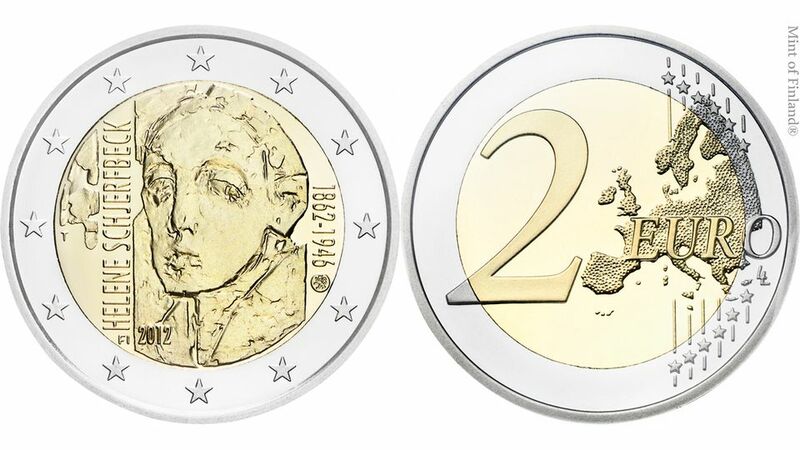 NUMISMAG: You engraved two coins (in 1996 and 2012) in honor of Helen SCHJERFBECK. Is it a topic that interest you in particular? What are the reasons? ERJA TIELINEN: Both of my Helene Schjerfbeck coins were direct commissions from the Collector Coin Committee. Schjerfbeck is known for her long series of self-portraits and her stylized way of painting was very exceptional and distinctive in that time. As I was especially interested in the self-portraits she created in her very last years, I chose those also for the coin designs. NUMISMAG: You get a Krause award in 1996 for Helen SCHJERBECK coin design. What does it represent for you? 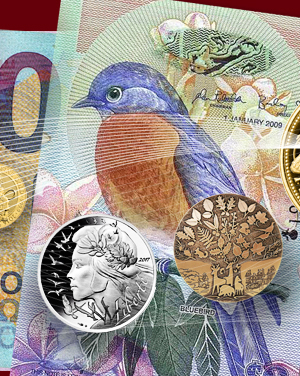 A consecration in coin design world or just a step in your career? 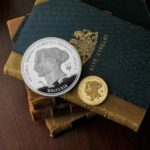 ERJA TIELINEN: The recognition for the Helene Schjerfbeck coin design was important for me and it confirmed that my way of designing and molding a coin was understood. It is always a matter of taste how to create and choose a style when realizing a work, as it is also with art in general. 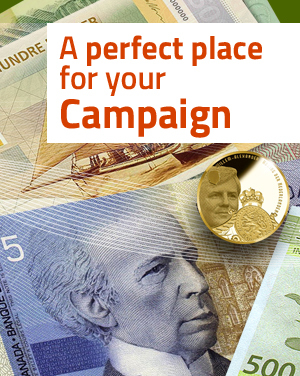 NUMISMAG: How did you get involved in the 2018 Finland TOPELIUS €10 and €20 commemorative coins project? What guided you for the choice of illustrated subjects? What is the historical background? 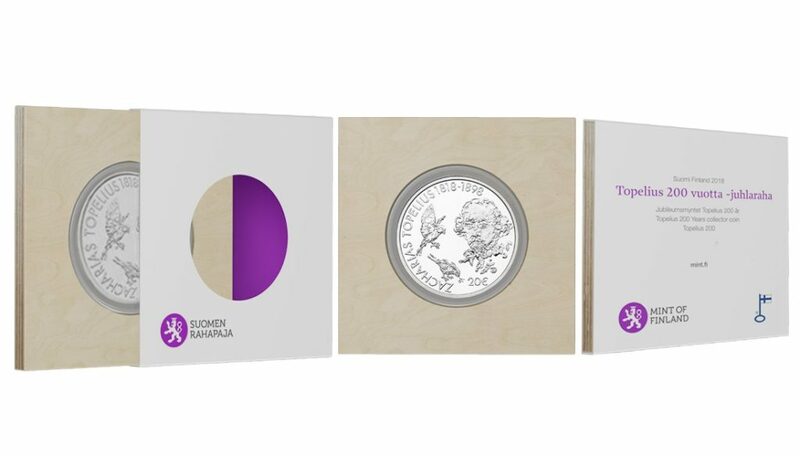 ERJA TIELINEN: The commemorative coin for Zacharias Topelius was chosen from the sketches by several artists. 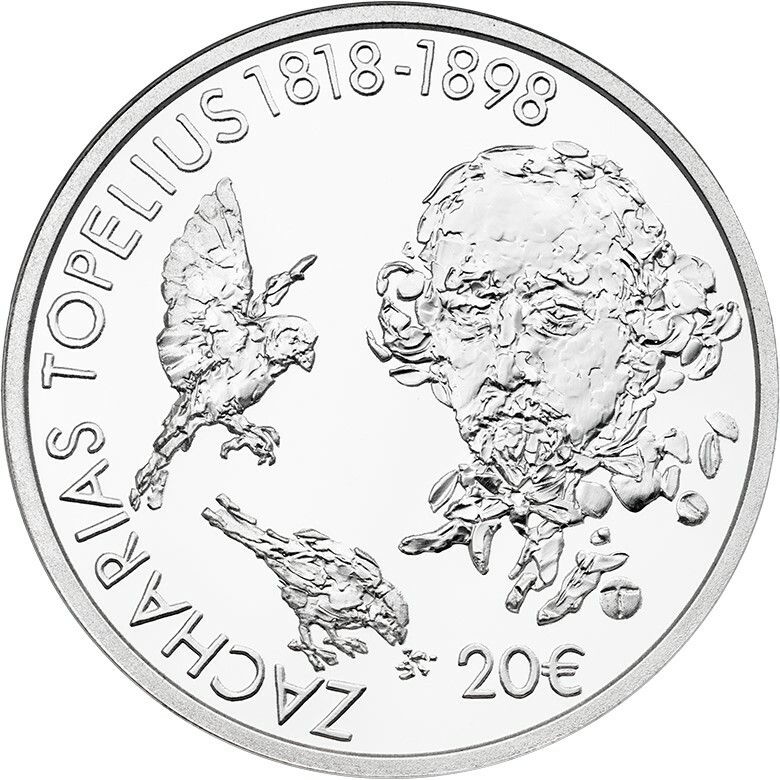 The obverse of the coin features an image of Topelius and the sparrows in his tales. The birds are a repeatedly occurring theme in the fairytales and songs written by Topelius. He in fact found Majföreningen, the first organization for protecting animals, especially small birds and laid the groundwork for the current animal rights movement in Finland. The reverse side of the coin is a reference to Topelius’ Koivu ja tähti (The Birch and the Star) fairytale. It was a familiar theme for me as I remember reading the fairytale as a child. When designing a coin I like to emphasize distinctive composition between the smooth surface, rough sculpting and the text elements. 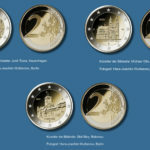 NUMISMAG: What represents for you euro coinages and more specifically euro coinages of Finland? Do you think it is in straight line of finnish numismatics from the origins (design, topics choice or engraving style)? 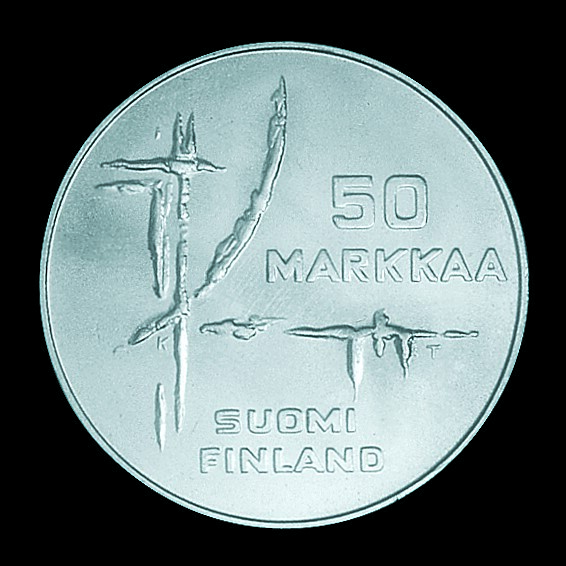 ERJA TIELINEN: Stylistically Finnish commemorative coins are close to medals. 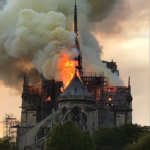 This is due to the fact that the first Finnish commemorative coins were created as late as in the end of 1960’s and designed by the sculptors of that time. 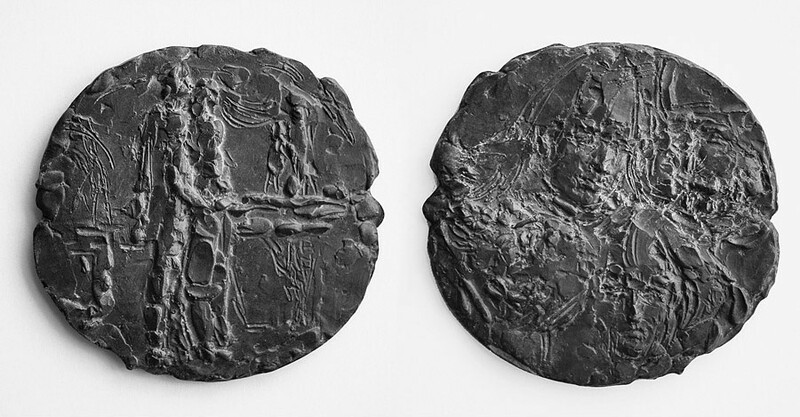 In Finland, the models of the coins have often been modeled as a positive in for example plastolina clay and rarely engraved. This technical matter of course has a direct influence in the final result. 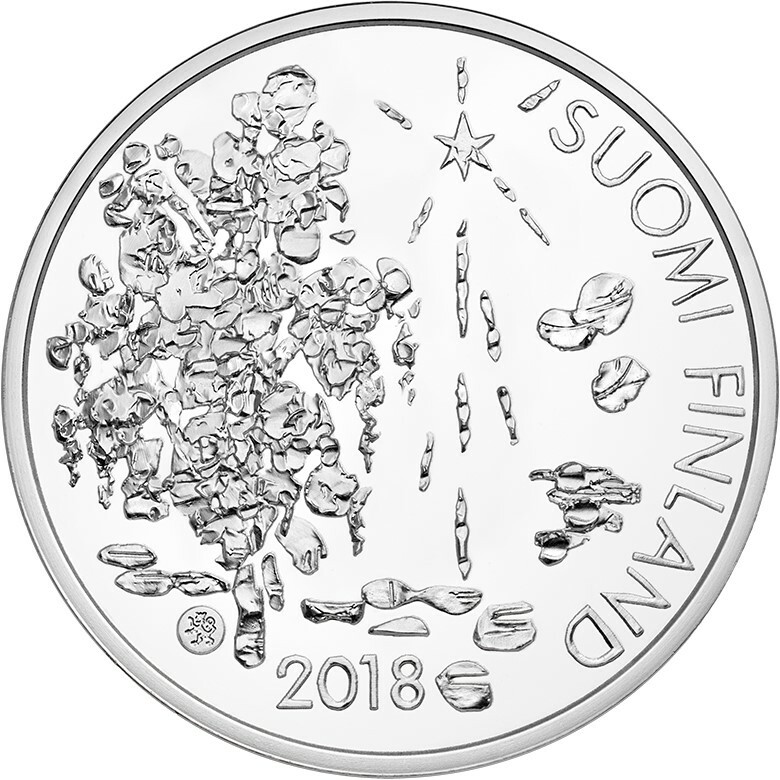 I think the Finnish euro commemorative coins have maintained something from this tradition and are recognizable for their clear and someway minimalistic style. 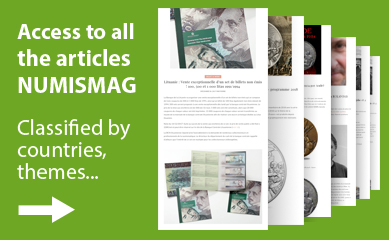 NUMISMAG: Do you know if numismatics is very popular in Finland? Does a national numismats club exist? To you, how many people do collect coins, medals or currencies (banknotes) in FINLAND? ERJA TIELINEN: The Numismatic Association of Finland was established in 1914 and at the moment it has around 1600 official members, but this hardly tells about the popularity of collecting coins in Finland. 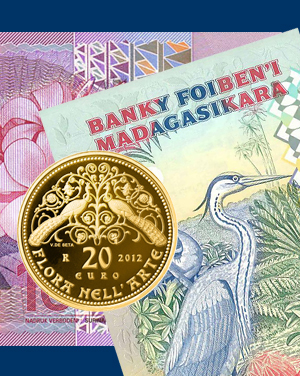 Especially commemorative coins in question, it is common to collect them in small amounts. When Euros became the official currency also collecting grew more popular. Moreover, internet has certainly made coins and the knowledge of them available for a larger audience. 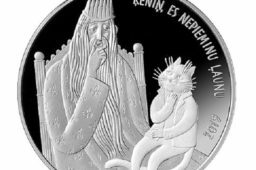 NUMISMAG: Do the national medias communicate about launch of new coins and medals for finnish public in general? 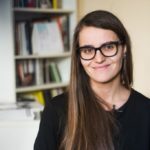 ERJA TIELINEN: In case of my own coin designs, there’s been plenty of publicity and interest in national media, most likely because of the cultural subjects and figures they honor. 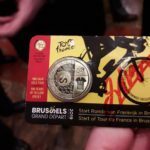 Particularly until the end of last century when there were only few commemorative coins published each year every single coin got more publicity. NUMISMAG: How do you see the future of numismatics in Finland and in Europe? 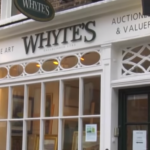 Do you fear a cashless society? ERJA TIELINEN: As everyone knows, all kind of collecting is rather addictive. Nevertheless, collecting coins is an interesting way to explore our history and culture. 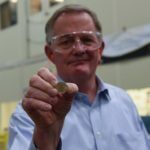 That is why I also believe that there will always be a demand for new commemorative and special coins, even though we soon probably have a cashless society. Sources: ERJA TIELINEN and NUMISMAG©.